I was so excited to hear that my original recipe, Chocolate Hazelnut Cream Cheese Puffs, is a finalist in the Midwest Living Magazine's fourth annual "Best of the Midwest" Recipe Contest. The recipe is featured in this month's (March/April) magazine on page 24. It's fun to see my name and recipe in print. I also won $300.00! 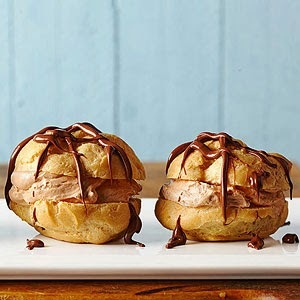 These cream puffs with the creamy filling of cream cheese and chocolate hazelnut are DELICIOUS! For pastry: In a medium saucepan combine the water, butter, and salt. Bring to boiling. Immediately add flour all at once; stir vigorously. Cook and stir until mixture forms a ball. Remove from heat. Cool for 10 minutes. Add eggs, one at a time, beating well after each addition. Drop 12 heaping tablespoons of dough onto prepared baking sheet. Bake for 30 to 40 minutes or until golden brown and firm. Prick puffs with a sharp knife to allow steam to escape. Transfer to a wire rack; let cool. For filling: In a medium bowl, combine the cream cheese and 1/3 cup of the chocolate-hazelnut spread. Beat with an electric mixer on medium speed until well combined. Fold in the whipped topping until combined. Cover and chill until serving. Just before serving, cut tops from puffs; remove soft dough from inside. Spoon about 1/3 cup filling into bottom half of puff. Replace top half. Place the remaining 1/3 cup chocolate-hazelnut spread in a small microwave-safe bowl. 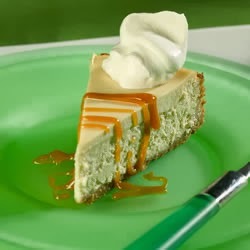 Microwave on 100% (high) power for 30 to 45 seconds or until softened, stirring once. Using a spoon, drizzle spread over puffs. Serve immediately; refrigerate leftovers. Hey Aunt Dawn! I bet your taste is impeccable!